The first time I went to Ein Gedi, the oasis of the Judean Desert on the shores of the Dead Sea, I was 16 years old, a participant in a month long group trip with my peers. It was August, boiling hot, we were in the middle of the desert, and we were going to do a hike. Things could have looked better. Little did we know that as we walked up the David stream we would soon come upon plunge pools where we would be able to have a much needed cool-off. 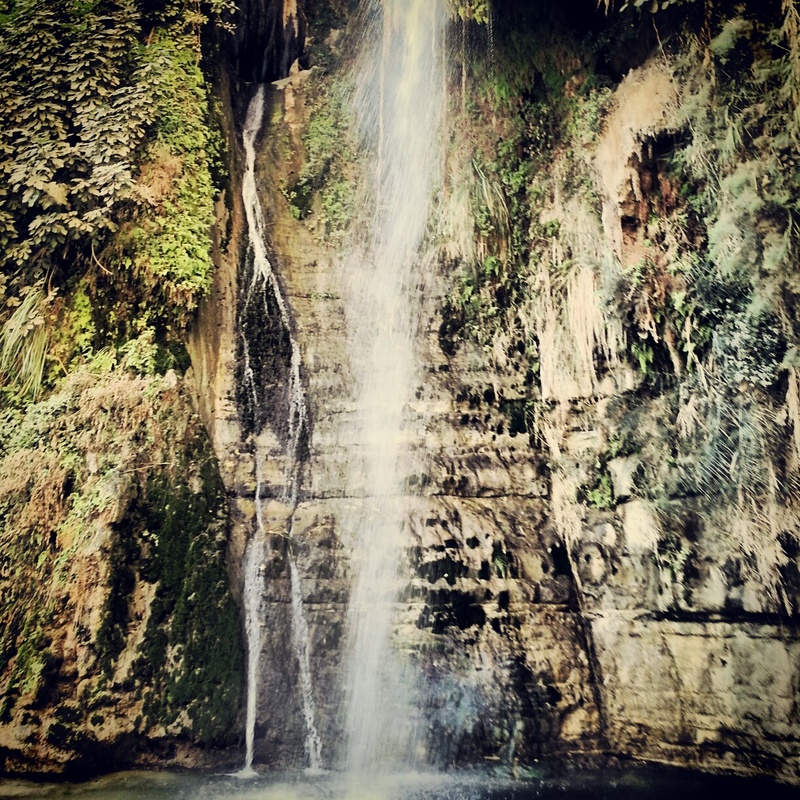 It is the starkness of its surroundings that makes Ein Gedi so remarkable. A veritable oasis it was, and I will forever associate it with these fond memories. We began our day at the Ein Gedi Field School, where we saw some ancient artefacts unearthed during excavations in the area. From a viewpoint over the nature reserve we learned about the different inhabitants of the area, dating back to the Chalcolithic period (that’s 5000-6000 years ago), moving through the period of the Israelite kings to the Byzantine era, when the area was famous for its production of the legendary afarsimon oil. This scented oil was so precious in the ancient world that both the Roman historians Pliny and Josephus make reference to how important it was for the Roman rulers to ensure they protected its production during the Jewish revolts. The knowledge of how to make this perfume was lost, but experts believe they have finally identified the plant from which it was sourced. Hopefully we would get to see it later. We concluded by learning about the modern era; the kibbutz that was founded here by somewhat reluctant pioneers (they arrived in the middle of the summer heat) but they stayed, as they were commanded by Ben-Gurion to do so himself (I don’t think that Israeli prime ministers carry that sort of weight any longer!). 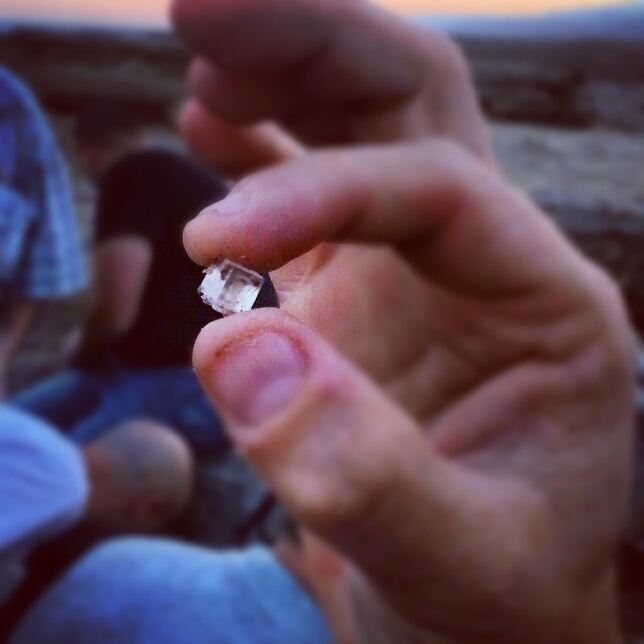 We heard about the crops, the difficult balancing act of living with nature in the desert and not using too much of the spring water, and as our guide was a member of the kibbutz he was in the perfect position to talk about some of these tensions. All fascinating background information regaled over a stunning backdrop. We moved into the nature reserve, hiking up the David stream to the David waterfall. It is named for David as the book of Samuel refers to him hiding there. Along the way, we paused to learn about the different plants and wildlife in the reserve; their origins and their uses. Our guide taught us about the geological processes which formed the rocks that we were seeing. Sadly, there was no time for a reprise of the plunge pool adventures. We turned back and took a steep climb out of the valley to the top of the surrounding cliff. On the way up, we passed signs of ancient civilisation; trenches that acted as an irrigation system for crops built on terraces on the cliff face cisterns and the like. And enjoyed the sweeping views over the Dead Sea valley. Positioned on the top of the cliff was an ancient Chalocolithic temple. Only the bottom stones of the wall remain but you can clearly make out several rooms within the structure. We learned about its probable uses and imagined that in this place, over 5000 years ago, man was coming to pray to his god(s). 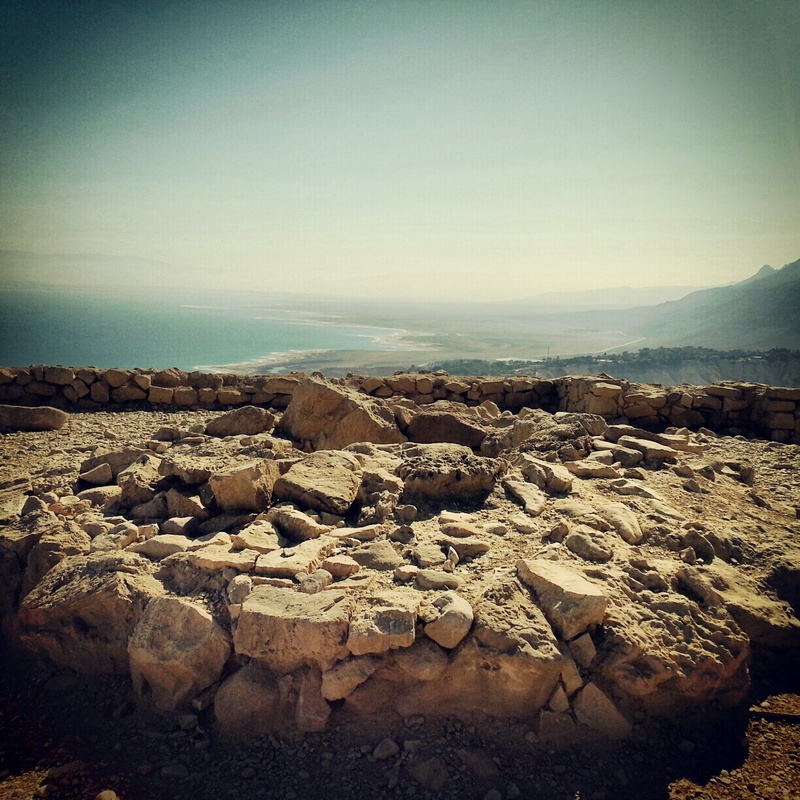 We concluded the hike with a more gentle descent past the Ein Gedi spring and a Mamluk period flour mill, arriving at the ruins of an ancient synagogue. The synagogue dates from the 3rd Century. 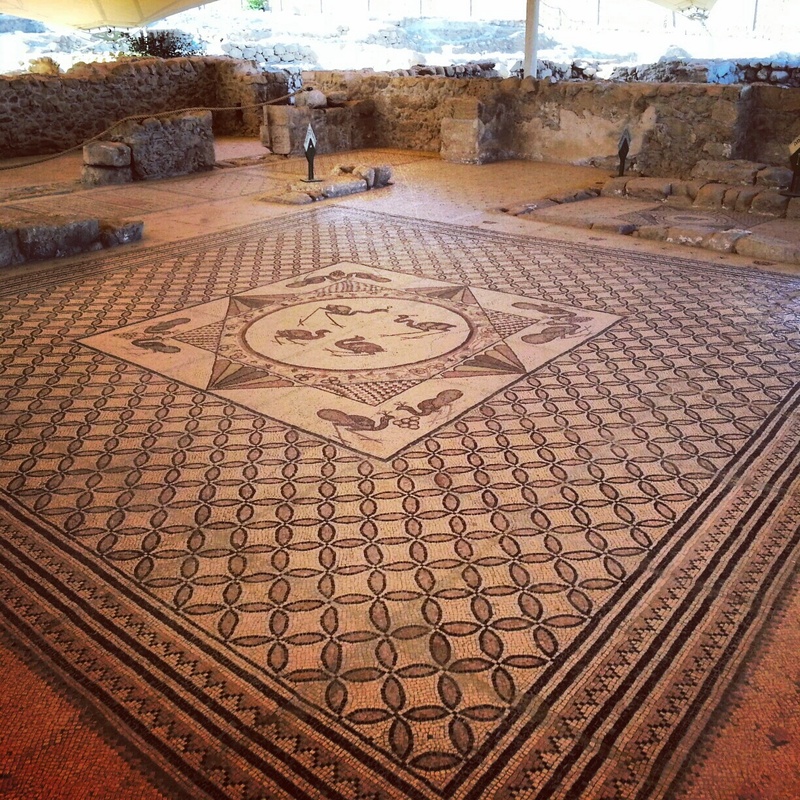 The floor contains a beautiful mosaic which has several unusual features compared to similar mosaics from the same period. It also makes a cryptic reference to a curse that would befall any member of the community who reveals its ‘secret’ to an outsider. Many people have posited that this ‘secret’ was with regard the manufacture of the afarsimon perfume. However our guide had a theory that in fact this community, because of its isolation in the desert, was able to hang on to various more mystical beliefs and practices that some Jews had brought with them to Israel from the Babylonian exile, but that the Pharisees (the rabbinic Jews, who had been in a power struggle with the priestly elites) had ruled out from the mainstream. His evidence was compelling; the mosaic makes reference to the three companions of the prophet Daniel (Hananiah, Mishael, and Azariah). In the rabbinic literature (midrash tehillin) it says “we say that the world is based on Abraham, Isaac, Jacob; others say the world is based on Hananiah, Mishael, and Azariah”. Not conclusive, but interesting nonetheless. Around the corner from the synagogue we encountered a hut made entirely of woven palm leaves, situated in the date palm groves. 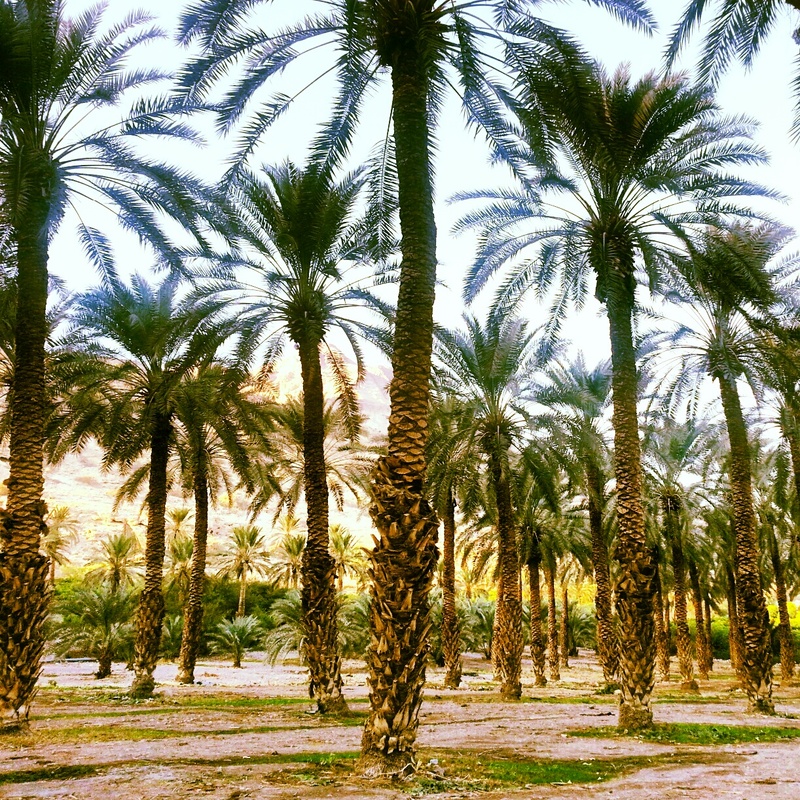 We paused here to learn about the ancient culture of the date palm in the Land of Israel, which was so prevalent that it was also known as the Land of the Date Palm. These trees had a huge variety of uses: food, construction materials, baskets, clothing, cleaning implements. This culture is largely lost but a member of the kibbutz had visited a village in Morocco where it is still alive to learn the techniques and had constructed the hut and its contents. Ben Gurion also saw importance in restoring the culture of the Date Palm and brought to Israel experts from Iraq and Italy to help build new plantations in the early years of the state. From there, we headed across Route 90 to observe some of the sinkholes along the shore of the Dead Sea. It is dangerous to walk there, but as our guide was the leading expert in the country on these sinkholes, he knew how to tread. I’m pleased that I only found out later that he once fell into one and thought he was going to die (read his somewhat harrowing journal here – in Hebrew). Sadly, the Dead Sea is shrinking at a rapid pace. It used to be up to the rude and is now some distance away; the pace was that it was going down 1m a year; now it is 1.5m. This is largely caused by the use of the main tributary, the River Jordan, as a source of water for drinking and agriculture; also by the removal of water by the Dead Sea factories to manufacture minerals. The sinkholes are one of the unfortunate side effects of this; caused by a resulting loss of underground pressure. They are though quite beautiful, in a bleak sort of way. Our guide introduced us to the ‘Dead Sea Diamonds’ which are buried in the clay around the sinkholes; these beautifully formed cubes are actually made of salt. So, in this case, I imagine the diamonds (sadly) are not forever. Gilead’s Balsam – Source of Afarsimon? Our final (and brief) stop as the sun rapidly set was in the botanical gardens in the Ein Gedi kibbutz. There, among other things, they have tried to research and collate the spices mentioned in the biblical book The Song of Songs. Most exciting was the opportunity to see Gilead’s Balsam, the plant from which it is now believed the legendary afarsimon perfume was manufactured. It is still unclear how to make the perfume from the plant, but it really does have a very strong and unique fragrance. 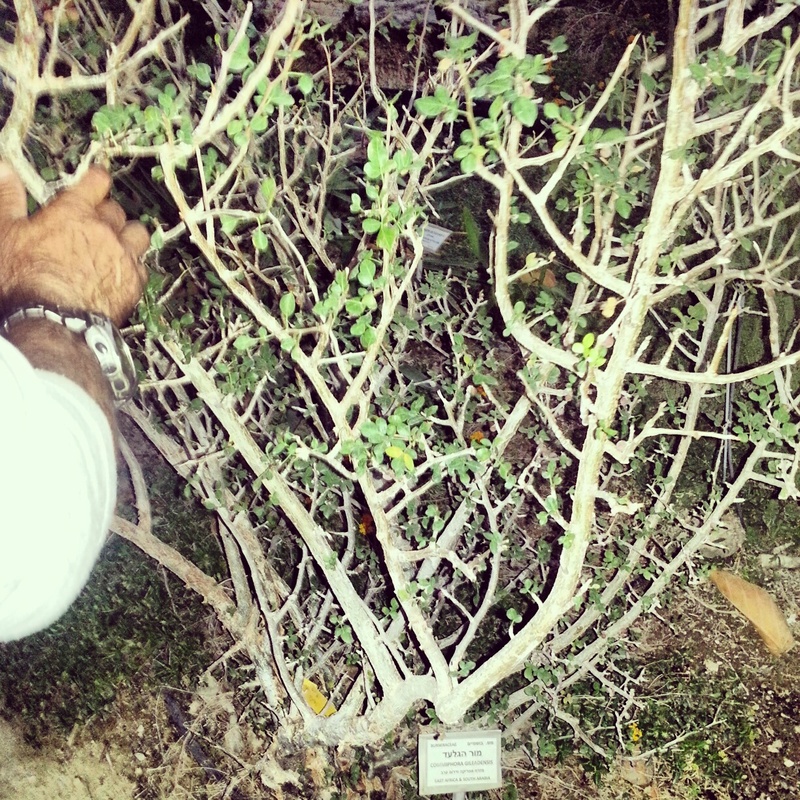 We ran our hands over its leaves and the scent accompanied us all the way home to Tel Aviv.